According to MarketWatch , the global HVAC systems industry is expected to grow from $93.2 billion in 2018 to $133.2 billion by 2023. That 6.2% compound annual growth rate is going to outpace many other home service industries, especially in the United States. In the near future, the job marketplace is going to be looking to fill tens of thousands of jobs. However, the Bureau of Labor Statistics notes that the heating, ventilation, air conditioning and refrigeration industry requires "long-term on-the-job training" (in comparison to other industries) thus resulting in higher barriers to entry in capitalizing on this future gold rush. If you're an individual looking to enter the HVAC industry and capitalize on the industry's expansion or perhaps an HVAC small business owner looking to expand your enterprise's growth, you're going to need stay up-to-date with all of the industry's skills, tools, regulations, and certifications. 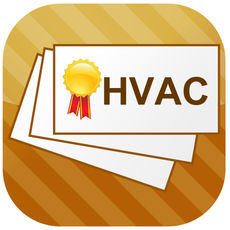 HVAC learning apps will help you accomplish those needs. 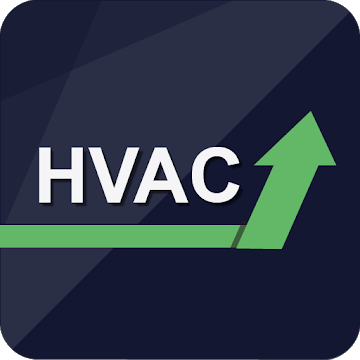 At Housecall Pro, we've compiled the ultimate list of the HVAC apps to help you level-up your career. 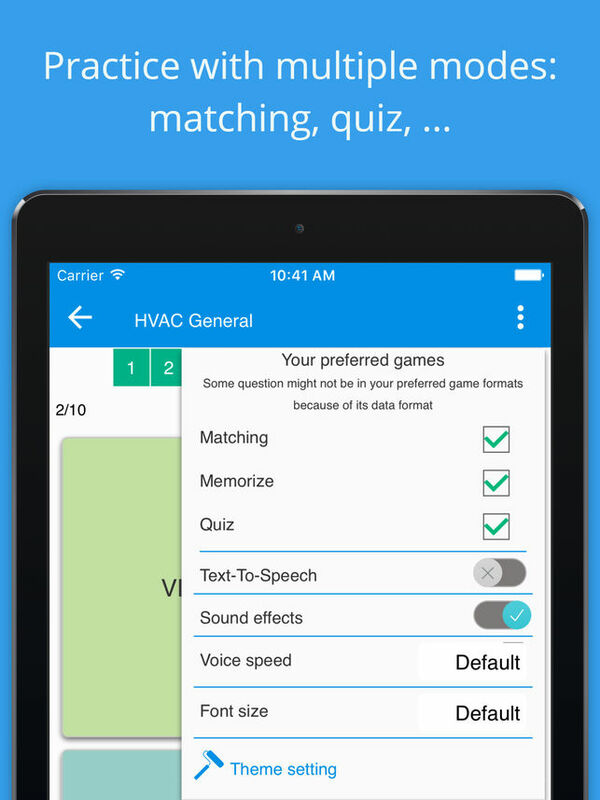 One of the most comprehensive HVAC education apps in the app marketplace. 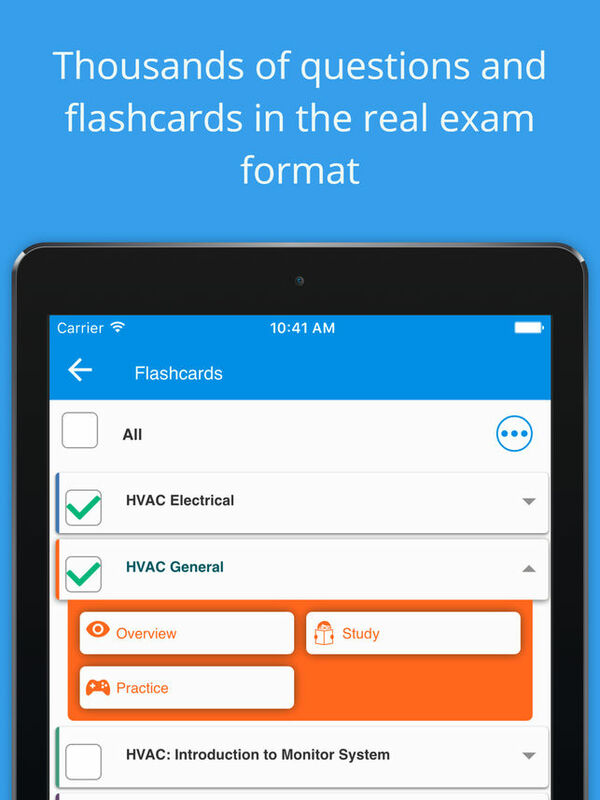 With the ability to compare practice test results with your social network (study with friends) and detailed tracking of your progress, this app will help you crush your HVAC exam. With the ability to choose between the different study modes (Study, Slideshow, Matching, Memorize, and Quizzes) the app tracks your progress and gives detailed planning on what areas of HVAC you need to focus and study further. Challenge friends who may be studying for the exam. Adapt automatically to the levels of users. With over 1,000 questions pertaining to the critical facets of HVAC, HVAC Test Pro 2019 uncovers where you are competent in the study material and where you need to focus in order to ace your HVAC exam. With thousands of questions and multiple ways of traversing the coursework, the curriculum takes you through a comprehensive overview of HVAC. 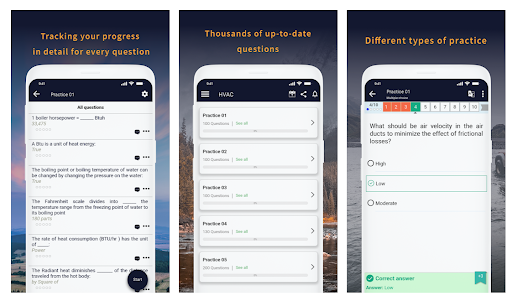 By using flashcards, quizzes, and listening modules the app tracks your progress with detailed scoring and makes it simple so you can focus on the areas you need to improve on. 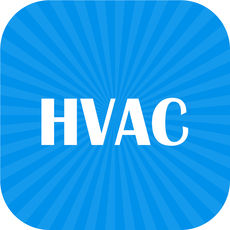 Practice with +1000 questions written by expert tutors covering all sections of the Heating, ventilation, and air conditioning exam: HVAC General; HVAC Introduction to Monitor System; HVAC Electric, HVAC Refrigeration theory. 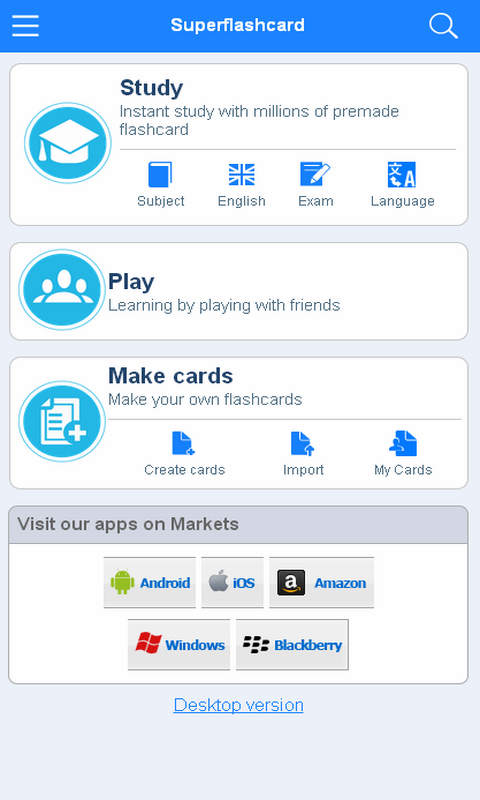 The app provides clear instructions on how to "flip" the flashcard and reveal the answer. 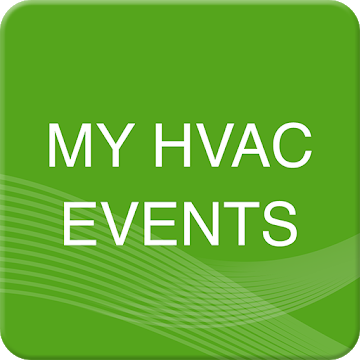 Scores of HVAC trade shows and conferences take place every year. This app keeps you in the loop of which ones are happening, when they are happening and who is going to be in attendance. 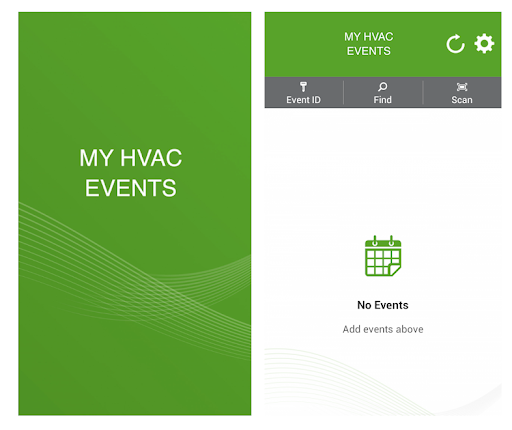 Downloading the HVAC events app will inform you of what events are happening within the industry. 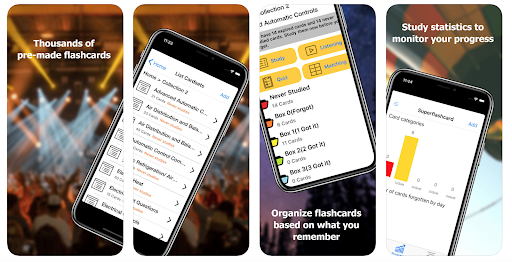 Primary use: This app helps you remember some things you may have forgotten along the way as well as educate you on things that you may have never learned at all. With a bevy of tools at your disposal, the HVAC school offers a comprehensive tool to educate and level-up your HVAC knowledge. Stream the HVAC podcast, a podcast committed to providing up-to-date and relevant content in the HVAC industry. Read tech articles written by some of the leading minds within the HVAC industry. 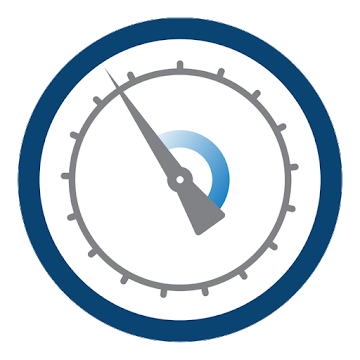 Interact with HVAC calculators that help build HVAC tech competency with the various tools that you'll use during your tenure. Housecall Pro knows how important education is to the success of your business. 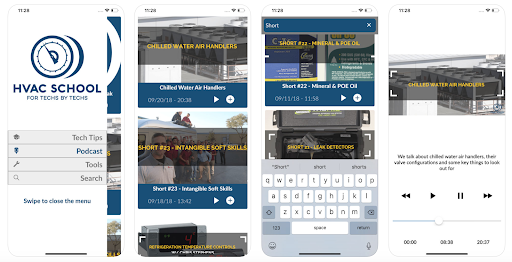 While the apps alone won't get you a job in the HVAC industry or take your business to the next level, when used properly, the apps will help you add to your knowledge base. From there, it's up to you to utilize the tools in front of you and positively alter your career path or expand on the success of your HVAC business.